Does Cracking Knuckles Cause Arthritis? I have noticed that ever since I have started my college career, I have been cracking my knuckles more and more. At this point, I could state that my knuckle cracking has developed a bad habit of mine. It’s just that I feel extremely content whenever I experience that pop. The only thing that bothers me about this habit of mine is that I have constantly been told how damaging it is. My grandmother would always yell at me whenever I did it because “Cracking your fingers will give you arthritis!”. I grew up consistently hearing that, but never truly knew if it was valid, or just another old wives tale. Is this satisfying feeling of cracking my fingers going to cause the development of arthritis down the road? 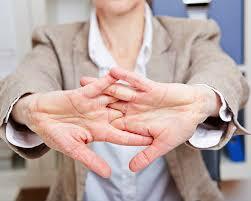 The sound of cracking knuckles is a byproduct of the stretching and collapsing of muscle joints. When a muscle joint is stretched, gas fills the space, and creates an air pocket. When the muscle joint later collapses, the air pocket bursts, resulting in the popping noise.The sound is generated when then the muscle joint returns to its resting position after being stretched. The common belief is that this constant cracking damages/destroys the tendons and ligaments and causes arthritis. Arthritis is the inflammation, and stiffness caused by the deterioration of muscle joints. If the cracking of muscle joints does cause arthritis, the results from several well-conducted studies will show that the muscle joints are in some way being damaged. We must find a study that shows on the overall affect of stretching and collapsing our muscle joints over an extended period. After searching the internet, and reading multiple studies, I concluded that knuckle cracking has no long-term negative effects on muscle joints. I came to this inference after reading an article conducted over a span of 60-years, and another conducted validating an experiment recently conducted by a different scientist. By far the most interesting study I had stumbled upon was conducted by a doctor, named Donald Unger. His mother constantly warned him as a child about the apparent dangers of knuckle cracking, and one day decided to conduct an experimental study on himself to find out the truth. He conducted this experiment by cracking his knuckles in his left hand twice a day, and never his in right hand. After doing this for 60-years, he concluded that it was harmless. He never observed any signs or symptoms of the development of arthritis. Although this experiment is anecdotal, and only had one subject, his experiment did provide him an IG Nobel Prize and was widely accepted. 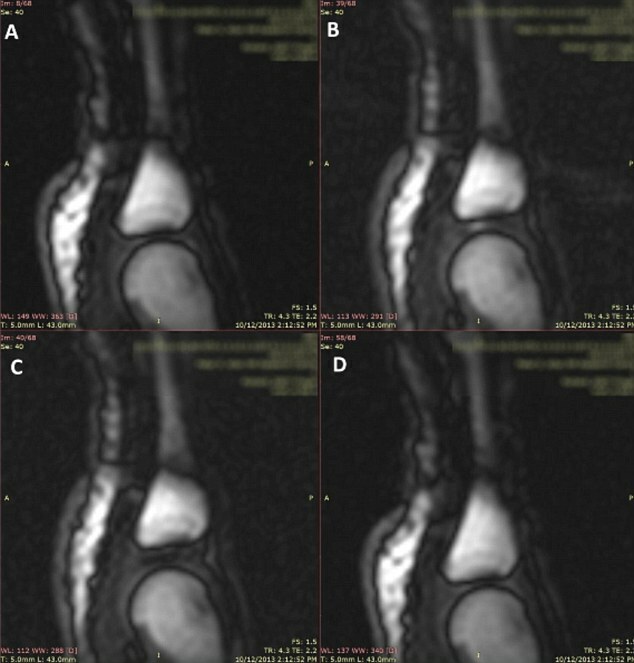 A more reliable experiment that supports Dr. Donald Unger’s data was conducted by a radiologist, named Robert D. Boutin. His experimental study was conducted with 40 healthy participants. He started by gathering information on roughly how frequently each subject had cracked their knuckles through the span of their lives. He then had each person crack the base of their finger under an ultrasound machine. The alternative hypothesis was that cracking your knuckles would cause damage to the muscle joint. The null hypothesis was that cracking your knuckles had no effect on the muscle joint. Robert D. Boutin and his team did not expect to notice anything too interesting. When he observed at such a close level, he found that when the joints are cracked, an explosion occurs causing the popping sound. This explosion was concluded to be the bursting of the air pocket created by the stretching of the muscle joint. Through observation, they also were able to conclude that the cracking had no affect on the muscle joint. They did not detect any noticeable signs of damage, even when observed though an ultrasound machine. This is a fascinating, and very misunderstood wives tale. Originally, people thought that the sound was a result of the bubble forming, and was believed to be damaging to the joint. Next, a scientist was able to conclude that the sound was the byproduct of the air pocket bursting, but it was still believed that it was straining the joints, and causing arthritis. Until those two experiments were conducted, it was just assumed with no evidence that cracking your knuckles caused arthritis. Now we know that the cracking has no effect on the joints/ligaments, and does not aid in the acquisition of arthritis. I can continue to crack my knuckles and enjoy that satisfying pop without a worry of future health problems. This entry was posted in Uncategorized on October 20, 2016 by Devon Buono. Sup Devon dude, this blog was really interesting. I was always told growing up that this myth was true so I always tried to stay away from cracking my fingers and toes. However, now I know that this saying is just another myth. Although cracking your knuckles is not correlated with arthritis, I discovered in one article, “http://articles.mercola.com/sites/articles/archive/2014/11/08/cracking-knuckles-harmful.aspx,” that cracking your knuckles still does have several negative components. Cracking your fingers can cause your knuckles and overall hand to swell with aging along with decreasing grip strength. This information is enough to keep me away from cracking my knuckles. Keep up the good work! I really enjoyed this article because I crack my knuckles a lot a people always told me the rumor that I’ll get arthritis and that really annoyed me. I’m happy to know that is not the case and that I can tell people whenever I crack my back, knuckles, or neck that It’s simply harmless air pockets bursting! Shout out to that man who cracked his knuckles for 60 years just on one hand to show everyone that its a hoax! Your post was extremely well written and I think you incorporated the experiments and outside sources well. It also quelled my fears about avidly cracking my knuckles as well. When I was younger, older relatives would also borate me and say that each time I cracked my knuckles I was one step closer to arthritis. The studies you included prove that this is not the case. I decided to investigate what exactly does cause arthritis since cracking your fingers is just popping air bubbles.